Katya McCulloch, TeamWorks Art Mentoring co-founder, and Louis Murillo TeamWorks teaching artist, instruct at the Loma Alta School (Marin County Office of Education’s Juvenile Court classroom). 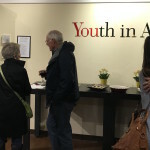 They shared more about the inspiration behind, and process of creating their group artwork on display as part of our RISING STARS exhibition, on view at the YIA Gallery through March 29th. 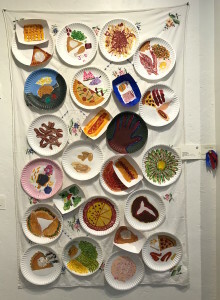 “Holiday Banquet,” a mixed media work featuring images of food painted on paper plates, mounted on a hand embroidered tablecloth, began as a project about recycled materials. 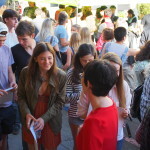 Katya, Louis, and their students discussed how food vendors at places like the Marin County Fair, have to discard food once it’s opened, and so much of it is wasted. 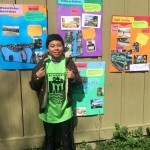 The work is also a comment on the fact that juvenile hall probation restricts students from going to the Marin County Fair. So, in a sense they were depicting food they wouldn’t typically be able to have. The work started around the winter holidays, so the teaching artists and their students were talking about memories of family and their favorite foods. They discussed how, “during the holidays some teens were locked up while others were home enjoying good food,” Katya said. “This is when we try to come up with a group project that will keep them focused and not think negatively,” Louis shared. 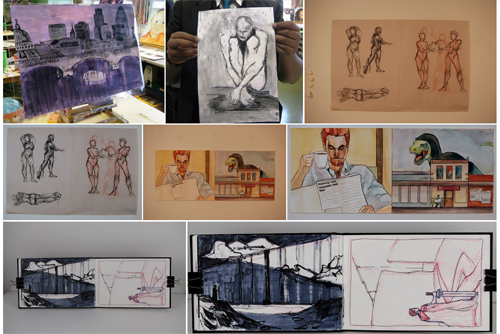 Once each students had settled on their individual subject, they then focused on the formal qualities of painting such as shadow, highlight, contrast, and perspective to make their work more 3-dementional. The artists, aged 13 to 18, worked in the round at a table of 8 students. Once they were finished they left the painted plates out on the table to dry, and realized it looked a lot like a banquet…hence the title. “Exhibits are very important for building pride,” Katya noted. 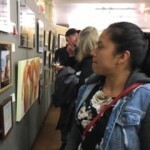 Loma Alta student’s work is displayed multiple times per year – as part of RISING STARS at Youth in Arts, as well as at the Marin County Fair, San Rafael Library, Pickleweed Community Center, Marin Center, and Civic Grand Jury Chambers. 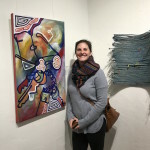 Through art making Katya has seen, “a quantum leap in students willingness to work together…putting personal issues and posturing aside” to focus on the art. “The unity in these projects is huge, as it’s tremendous to helping the kids communicate amongst others with more respect,” Louis added. 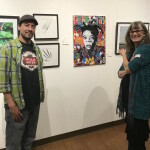 TeamWorks has been providing “on-going arts engagement for at-risk youth ages 11-18 in Juvenile Justice and in Alternative Education high schools in Marin County” for 20 years. 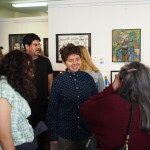 More than 70 teachers, students, parents, and community members came out to celebrate the opening of the INSPIRE teaching artists exhibition at the YIA gallery on Friday, December 14th. 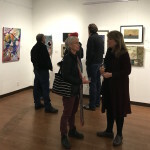 The event, held as part of Downtown San Rafael’s Second Fridays Art Walk, celebrated artwork from 25 teaching artists throughout Marin County. 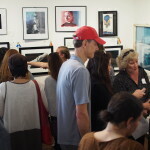 The reception offered a rare opportunity for the featured artists to catch-up and share tricks of the trade. 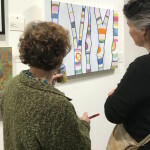 Their lively conversation, and vibrant artwork certainly brightened up the rainy evening. Thank you teaching artists for all you do! 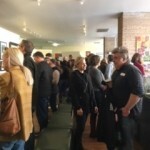 A warm welcome for artist, Taylor Mancini. 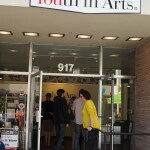 On Saturday October 13, Youth in Arts hosted one of the district lead community arts planning forums. Supervisor Damon Connolly and Gabriella C. Calicchio, Director of Cultural Services listened as 40 residents shared their vision for the Arts, Culture, Action! initiative. 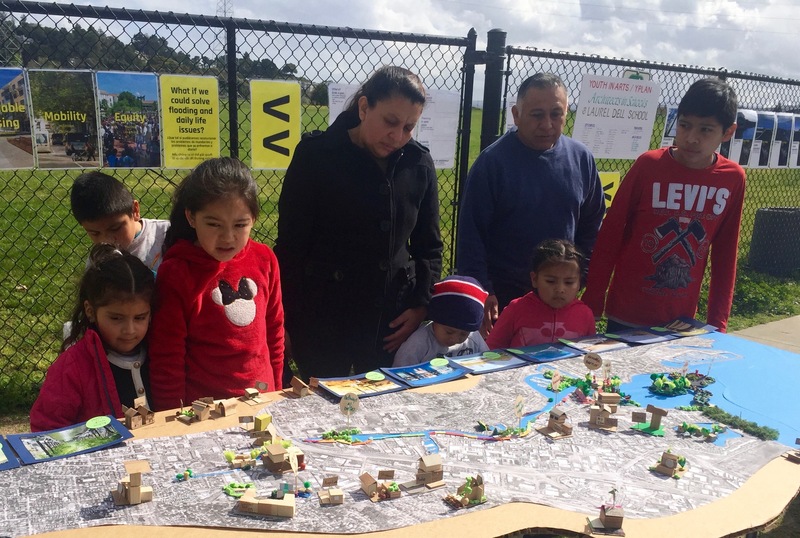 The first local arts and culture master plan is in development to maximize the creative potential of Marin and secure its cultural richness for future generations. 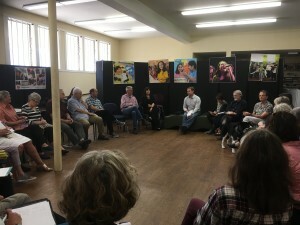 The Marin County Department of Cultural Services is working in partnership with the Marin Cultural Association, the Marin Coalition for the Arts, and arts leaders from all over the county to create the plan, dubbed Arts, Culture, Action! The plan will document, capitalize, support, and enhance the county’s cultural resources to better serve all members of the community. 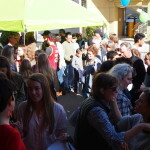 To roll out the plan’s debut, town-hall-style community meeting in districts were held throughout Marin. 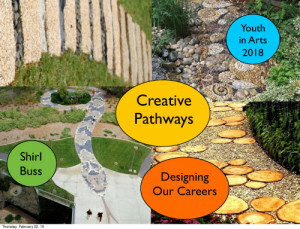 The Marin Arts Education Plan that Youth in Arts took the lead in creating will be incorporated into this County Arts Plan. 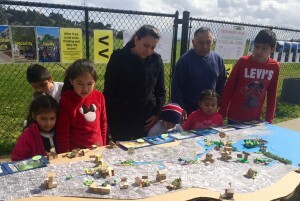 Community members are invited to fill out the survey to provide input. 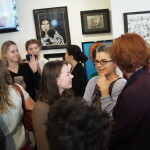 In addition, artists are invited to share their information here. 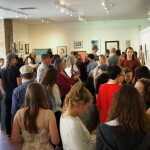 On September 14th, during the next Downtown San Rafael art walk, Youth in Arts will be hosting a gallery opening from 5-8pm for our latest exhibition, Kids Imagine Our World. 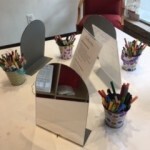 For this show, we asked kids k-8th grade to create works of art based on the prompt, “I imagine a WORLD with…” We asked them where they want to be, what they want to see, and who or what will be with them. 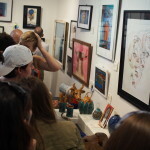 Entries include works made at home, in school, and in our weekly open studio that we hosted from this past June through August. 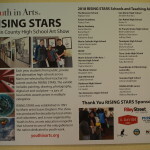 This exhibition follows one of our most prominent shows, Rising Stars, where high schoolers’ art is selected, and judged for prizes. 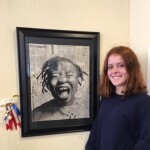 While Rising Stars features brilliant art from high school students all around Marin Country, Kids Imagine Our World features an age group more consistent with the demographic of students we primarily work with. 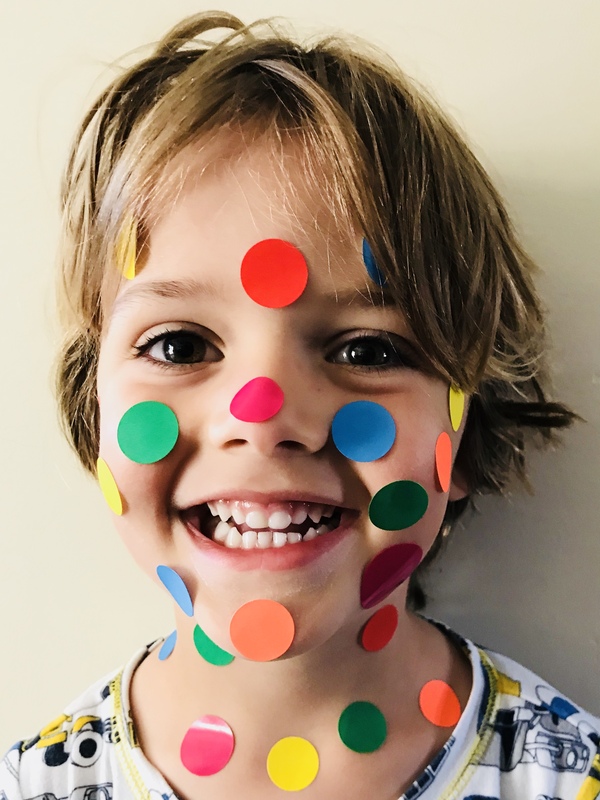 In conjunction with this kid-focused show, we have set up our very own ode to Yayoi Kusama’s Obliteration Room. Our kid-size version invites our gallery visitors to add their own dots. Together with the Obliteration room and rest of the gallery, there will be a slideshow highlighting other installation artists and how they imagine their world. 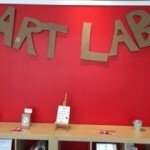 Come by Youth in Arts on September 14th to see how local kids imagine their world. 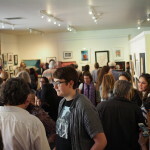 Refreshments will be served at the gallery opening 5-8pm. Or, come any other time while the exhibition is up—through November 30th. San Rafael is one of ten sites around the Bay Area included in the Resilient by Design Bay Area Challenge, a year-long collaborative design challenge to help Bay Area communities improve their resilience to flooding, natural disasters and rising seas. Youth in Arts’ Architects in Schools leaders Shirl Buss and Rich Storek, working with their fourth grade students from Laurel Dell Elementary School, helped to bring the Flood Fair to life with their young energy, beautiful scale models, and engaged fourth grade interviewers and docents. 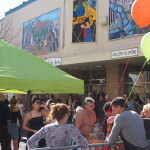 The Bionic Team including Bionic Landscape, WXY Studio, and PennDesign are working with the San Rafael community to prepare a suite of design ideas for the San Rafael community. 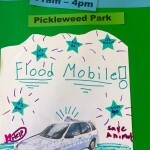 The Bionic Team began the challenge asking, “Where in the Bay Area can our expertise help?” And now matched with San Rafael, they’ve been asking residents “What needs to be done and where are we starting from?” Their first public event was the Flood Fair, held this Saturday at Pickleweed Park. 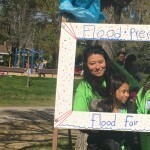 How will flooding effect you and your family? Thanks Mr. Pepe Gonzalez for your enthusiastic support of the students! 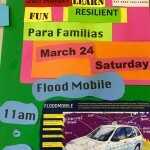 Thanks again Marcel, Sarah and Rich, for creating such compelling “hands-on” activities: the ice melt, the “flow” of water, the Flo Mo and all the displays, food and energy! 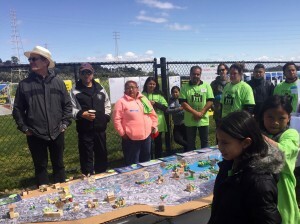 This was a beautiful way to bring together many different facets of the community to create implementable solutions to the environmental challenges we are all facing! 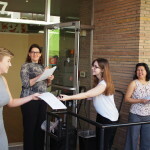 Thank you for your support, California Arts Council! 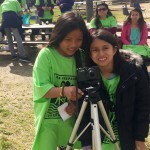 This is a project that has evolved for Jane over a decade and she emphasized to young artists interested in documentary work and activism that you don’t need to know what your project will be when you set out to find it. 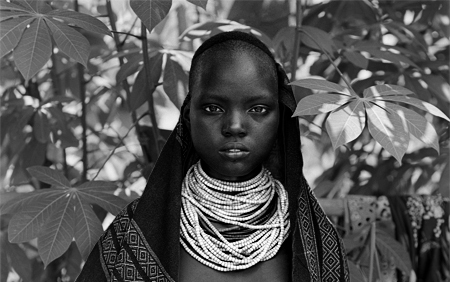 She first visited the Omo River Valley to just take photographs, and returned many times in ten years to not only take her photographs, but to also record the stories of the women from the region. This as turned into work on women’s rights, clean water, and international education programs. 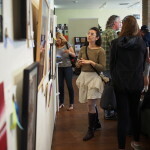 She has exhibited her photographs and the stories she recorded in Sonoma, Korea, and hopefully in Milan Italy next year. Jane says to be open to new experiences and let them take you down new and unexpected paths. 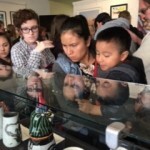 Kanna Aoki, a painter who lives with her family in the East Bay talked about different ways she had put her college art training to use over the course of her career. 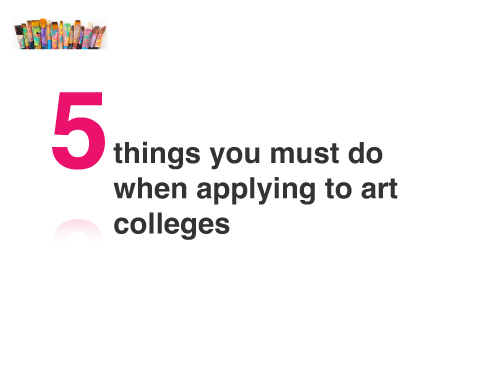 Steven Polacco, Associate Professor, Graphic Arts, Dominican University presented on “Five Things You Must Do When Applying To Art Colleges”. Steven emphasized that students should do their research and find multiple schools to apply to that might meet their needs. The internet is great for research he noted but also urged students to “Get out there! 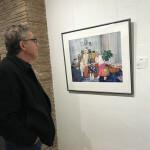 Go visit these places and see what they are like in person.” He mentioned that if you meet with faculty on your visit, it’s a good idea to have some images of your work (i.e. on a phone or similar) that you can show them informally if you have a chance to do that. 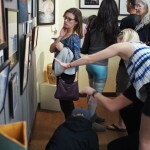 Not all faculty will take a look, but some will and it’s a good chance to get early feedback on your portfolio. When it comes to the portfolio itself, Steven urged students to pull together work that represents you and your artistic direction. He mentioned that sometimes you will want to “tweak” your portfolio for one school or another (certainly you need to meet whatever requirements they have). But don’t choose work to try to please this admissions committee or that one. Choose work that represents who you are as an artist and what you have to say. And, says Steven, “Have someone look at it!” He encouraged students to get lots of feedback before their applications are due, to make sure they are representing their work the way they want to. Finally Steven recommended looking at off-campus opportunities, programs in the community, summer programs, etc. 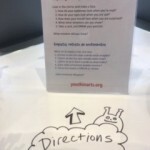 Many art colleges have “pre-college” programs that can give you a sense of whether an art college will be a good next step for you. Barry Beach, a teacher at Marin Academy, exhibiting sculptor and private college admissions consultant showed some “Do’s and Dont’s” for portfolio images you may use online or in other formats (link to examples here). Some advice–keep the background free of distractions and as neutral as possible. Pay attention to how you crop your images to put your work front and center. Don’t be afraid to use photo editing tools to create a good, crisp image–while you don’t want to actually alter the underlying image, it’s definitely not “cheating” to adjust digital parameters (levels, brightness, shadows, etc.) 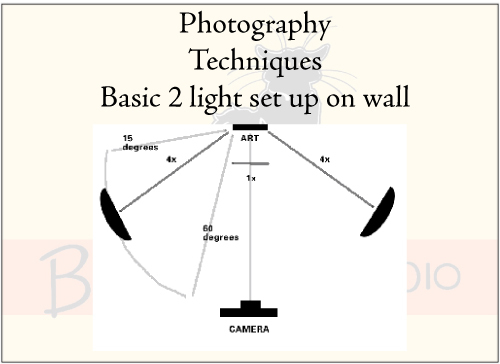 to get a clearer image of your work. Barry also advised students keep and carry a sketchbook so that you are always creating images that may evolve into pieces in your portfolio. 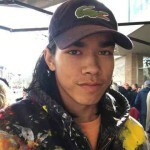 Jay Daniel, owner of Black Cat photography (who also generously photographed work for students attending the workshop) spoke about his work as a technician creating high quality images for artists and about his experience in the art field at large. 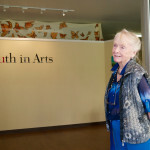 Finally architect, designer and educator Shirl Buss, walked students down the curving and creative pathway from a childhood love of building things with her father, to college at UCLA, to establishing a nonprofit around women in construction, to architecture school and her current work in both design and education. Shirl talked with students about how the same ideas can come up again and again in different ways, creating new turns in the pathway–in Shirl’s case finding herself in a man’s world and deciding what to do about that, first in construction and later in architecture school; her love of teaching children of all ages throughout all the phases of her career; her enthusiasm for power tools (and especially for teaching kids to build with them!) and her interest in design and how humans shape the world around us. 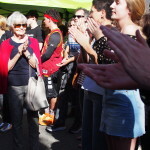 She encouraged students to be open and to explore and find their own creative pathways forward, which she is confident they will do! We are so grateful to all our panelists and the California Arts Council for helping to make this happen–thank you! 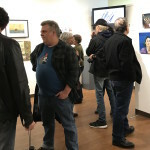 The 27th annual RISING STARS show opened with a lively Awards Reception for participating artists at the Youth in Arts Gallery in downtown San Rafael on February 4th. 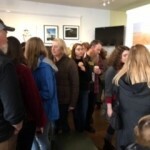 330 students, parents, and teachers visited the gallery throughout the afternoon. 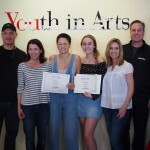 Executive Director, Miko Lee and Student Board Member, Rose Myers presented forty prizes to students from 17 of Marin County’s public, private, and alternative high schools full list of winners here. 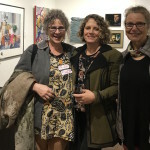 The show was blindly adjudicated by our panel of professional artists: painter, Kay Carlson; ceramicist, Melissa Woodbury; and photographer, Joy Phoenix. Additional awards were granted to students selected by Perry’s Art Supplies & Framing, RileyStreet Art Supply, Alejandra Tamayo, and Youth in Arts. 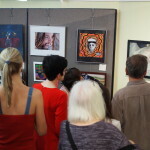 The exhibition, which runs through March 28th, highlights paintings, drawings, photography, ceramics, sculptures, digital and mixed media work from up to 12 teacher-nominated students from each school. 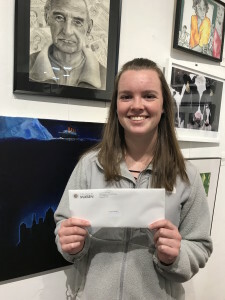 Over 130 students submitted 2D and 3D artwork for this years RISING STARS, and the varied works have come together in a beautiful presentation that draws well-deserved attention to the talented visual arts students throughout Marin County. 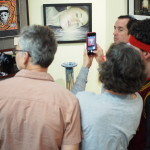 Though our staff and judges are always thoroughly impressed by level of student ability, the quality of artwork in this year’s show is particularly astounding. 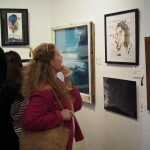 We were also moved by the eloquence and thoughtfulness of the artist statements produced by this years participants. Thank you student artists! 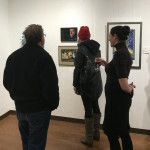 RISING STARS will be on view at YIA Gallery, 917 C Street in San Rafael, through March 28th, 2018; 11am–4pm. 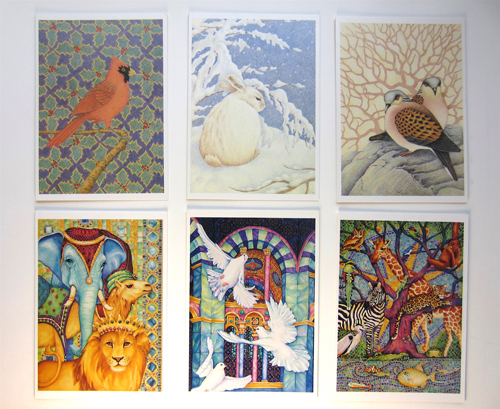 We are also open for the 2nd Fridays Art Walk Downtown: Friday, February 9, 5-8 p.m; Friday, March 9, 5-8 p.m. Teens, please join us for a visual arts workshop, How to Pursue Art as a Passion & Profession, on February 20th.